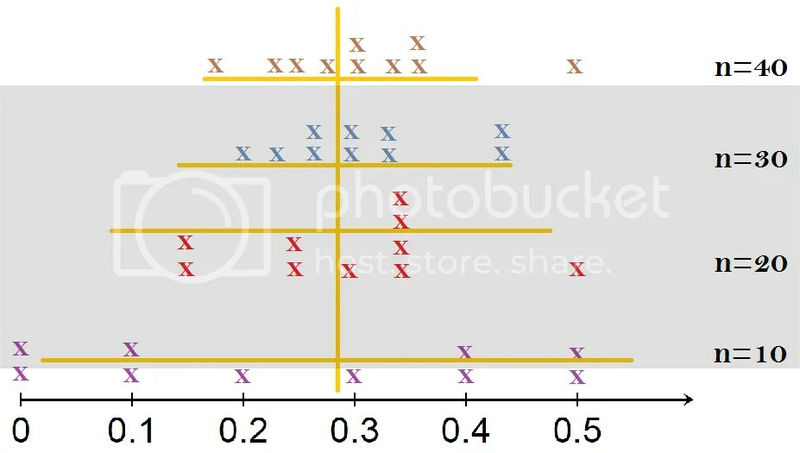 CCSS.Math.Content.7.SP.A.1 Understand that statistics can be used to gain information about a population by examining a sample of the population; generalizations about a population from a sample are valid only if the sample is representative of that population. Understand that random sampling tends to produce representative samples and support valid inferences. It’s all great table-setting for AP Statistics down the road, and working with authentic, interesting data. In this activity, students use an online resource to perform a simulation in order to find the proportion of the earth’s surface covered with land (as opposed to water). This is not a new activity, as a number of teachers suggest using an inflatable globe and some classroom tossing to reach estimates. But I think the method below uses some web tools in a novel way, and encourages some authentic geography discussions. In this simulation, students will sample a random point on the earth’s surface, record whether the point is covered by land or water, and repeat for a given sample size. 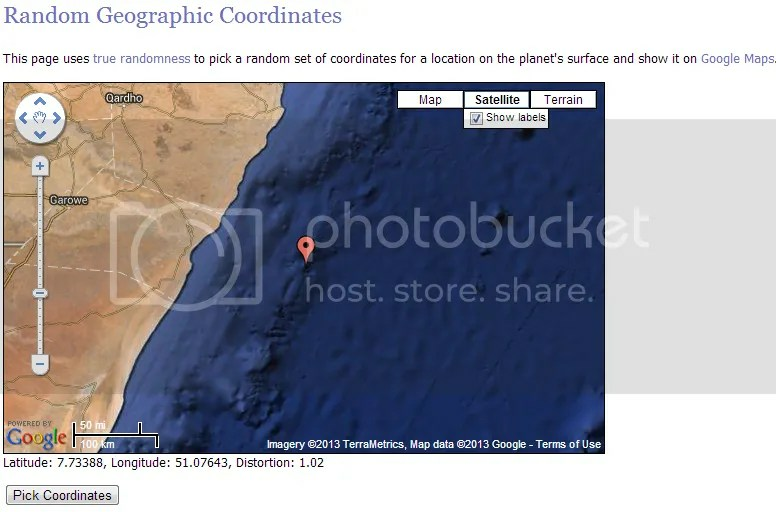 For this, we will use the site Random.org, which generates random events, mostly things like numbers and dice, and their Random Coordinate Generator, which chooses a random location on earth and displays it using Google Earth. The next steps depend on the sophisitcation and grade-level of your class. But in general, we want to know which sample size provides the best estimates. How do you know? Have students write explanations which defend a particular sample size. Multiple sources (Circle graph from ChartsBin,NOAA Information) verify that about 29% of the Earth’s surface is land. Do our trials verify this? How often were our trials within 10% of this 29% mark? As more data is collected, free site like StatKey can be used to generate appropriate graphs and statistics. 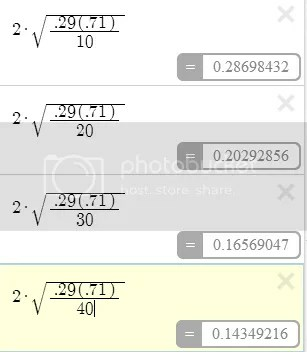 This entry was posted in Middle School, Statistics and tagged earth, google, random, sample. Bookmark the permalink.